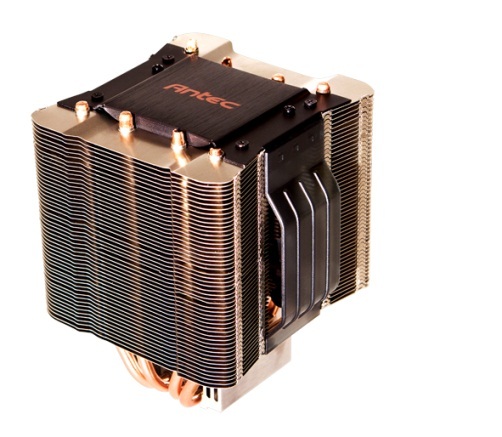 Antec Launches KÜHLER Series High Performance CPU Coolers. 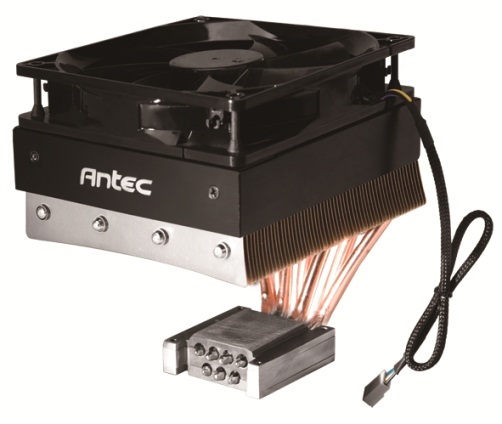 Antec has launched its new KÜHLER Series CPU cooler which have been designed to provide High performance cooling to the CPU. Antec has introduced three new coolers which belong to the KÜHLER line of CPU Coolers named the KÜHLER Box, KÜHLER Shelf and KÜHLER Flow. The KÜHLER Box features a symmetrical and rotatable designed and can be rotated 90°, 180° and 270°. The coolers is equipped with two huge aluminum heatsinks and is equipped with a whisper-quiet 120 mm Pulse Width Modulation (PWM) fan placed in the middle of the heatsinks. The cooler has Eight copper heat pipes attached with it to dissipate heat to the massive heatsinks while the fan provides an airflow of 68.2 CFM while running at a quiet 11.35 dBA. The cooler is only 7″ tall making it ideal for case modders. Coming to the KÜHLER Shelf which has an aluminum heatsink positioned parallel to the plane of the motherboard, which as a results leaves 10 to 20 mm more clearance than similarly built competing heat sinks. Since the cooler is a Top-Down Design a 120mm fan is placed on the top of the aluminum heatsink and blows air downwards towards the heatsink. 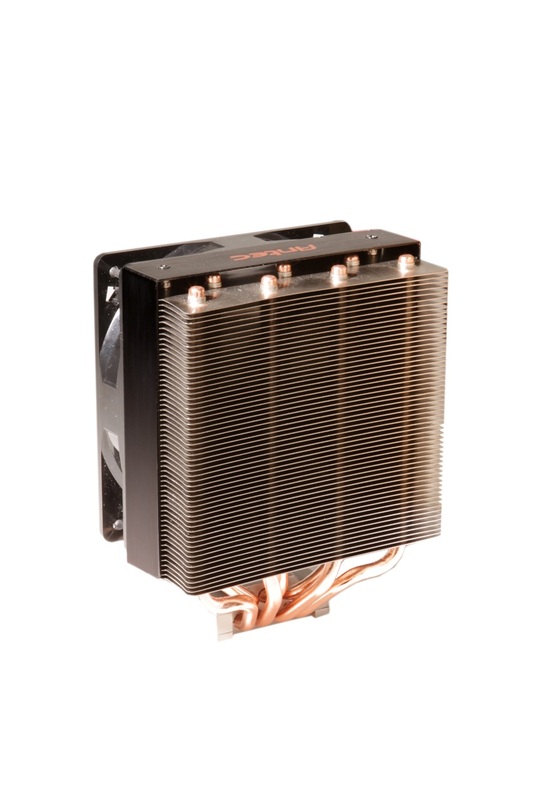 The heatsink is packed with 7 copper heatpipes for superior heat dissipation. The cooler is a great choice for those users who have densely packed motherboards so that proper cooling is ensured to the CPU while taking minimum amount of space. Now the third cooler from Antec is the KÜHLER Flow CPU cooler which has a vertical heatsink which can be can be re-positioned to cooperate with the case’s existing intake and exhaust fans. The cooler has the following dimensions 122 mm wide and 157 mm high and can easily be fitted in almost any standard casings. Th heatsink is equipped with a 120mm fan to ensure proper cooling and features seven copper heatpipes for excellent heat transference, and includes rubber fan grommets to reduce vibration caused by fan. All of the three CPU coolers are compatible with LGA 1366, 1156, 775 and AMD® sockets AM3, AM2+. The coolers also come with a easy-installation kit, featuring an included mini-wrench for simple, fast and frustration-free set-up. All of the three coolers are available for € 60,- through major retailers, e-tailers and distributors and are backed with Antec’s Quality 2-Year (AQ2) Limited Warranty on parts and labor.